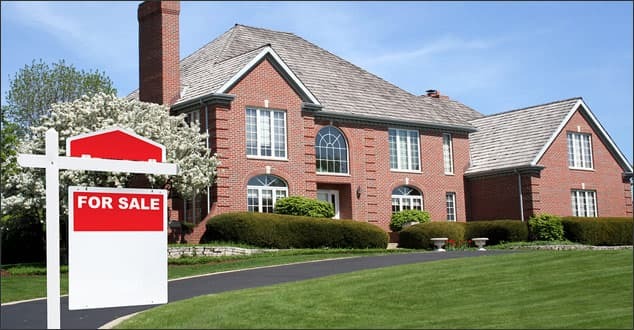 Prior to listing a home, many sellers find themselves with a dilemma: invest a considerable amount of money in a house you plan to sell by replacing the roof and hope to recoup the cost in the final selling price or forgo replacing the roof and hope that the buyers don’t negotiate a much lower selling price as a result. Unfortunately, there are no simple answers when it comes to this scenario. There are a number of variables that factor into a decision. This includes how motivated you are as a seller, the cost of replacing the roof, current market conditions, and comparable home sales. Some realtors might argue that if a roof needs to be replaced the smart thing to do is to replace it before putting the home on the market. Buyers are attracted to homes with curb appeal and their first impression will likely be online photos. An old roof in poor condition is going to be fairly obvious in photos and has the potential to deter buyers. On the other hand, a new roof will look great in photos. It certainly wouldn’t hurt to include that the roof was just replaced in the listing. Those in favor of replacing a roof prior to listing may also argue that homes in good condition sell faster and for a higher price than those requiring extensive and costly repairs. In addition, having the roof replaced ahead of time eliminates a point of negotiation that can, in turn, serve to expedite the sale. Perhaps your roof isn’t brand new, but it isn’t falling apart at the seams either. In this case, it might be wise to hire a roof inspector to come out to assess the condition of the roof by doing a maintenance service. It may be possible to get the roof certified for an additional three to five years, which will help in negotiations if the condition of the roof is called into question. Although most realtors seem to advise replacing the roof prior to listing a home, there are some situations when the right course of action might be none at all. The truth is that very few home renovations earn more than half their cost when the home sells. Roofs are no exception. Footing the bill to replace a roof might not even be a financially feasible option for the seller. In conclusion, the decision whether or not to replace a roof before putting a house on the market is complex and requires taking all aspects of a given situation into consideration. The financial situation of the seller, the condition of the rest of the home, and even the time of year are all points to consider when deciding whether or not to make this type of investment in your home prior to selling. The good news is that you don’t have to figure it out on your own. Renovations Roofing and Remodeling, Inc. can inspect your roof and help you choose the course of action that is best for you and your home. Data © 2019 Hanley Wood Media Inc. Complete data from the Remodeling 2019 Cost vs. Value Report can be downloaded free at www.costvsvalue.com.